Volunteering with Chadwick Arboretum & Learning Gardens is a tremendously valuable way to support our educational mission and collections. 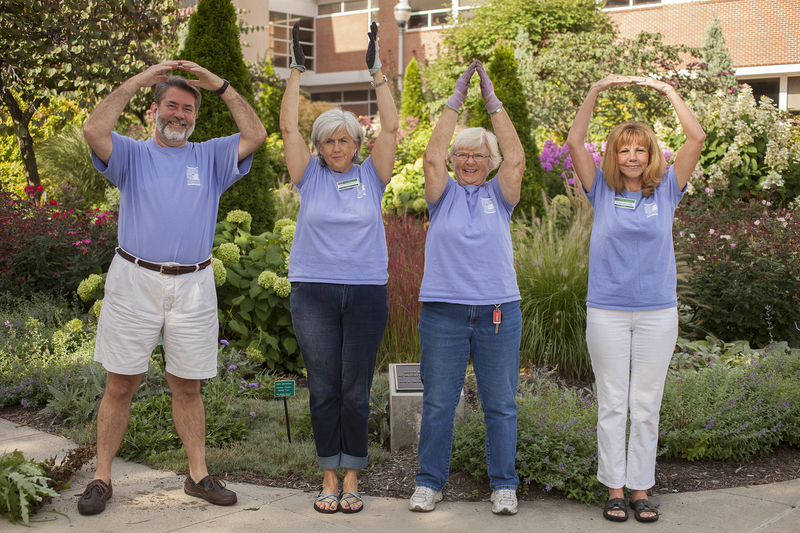 Because Chadwick Arboretum is largely self-supporting, we depend on our hundreds of volunteers to support virtually all areas of our operations. Beginning with our first Volunteer Coordinator, Denise Adams, in 1989, our volunteer corps has grown to include over 250 members who contribute more than 7000 hours to the arboretum each year. In addition to being directly involved in the programs and operations of our growing and thriving gardens, volunteers have the opportunity to meet new people, increase their knowledge and skills, and experience our beautiful campus. Volunteers have access to formal educational opportunities, such as the Volunteer Day of Education, along with the informal opportunities that arise when working alongside our diverse and fun staff, students, and fellow volunteers. 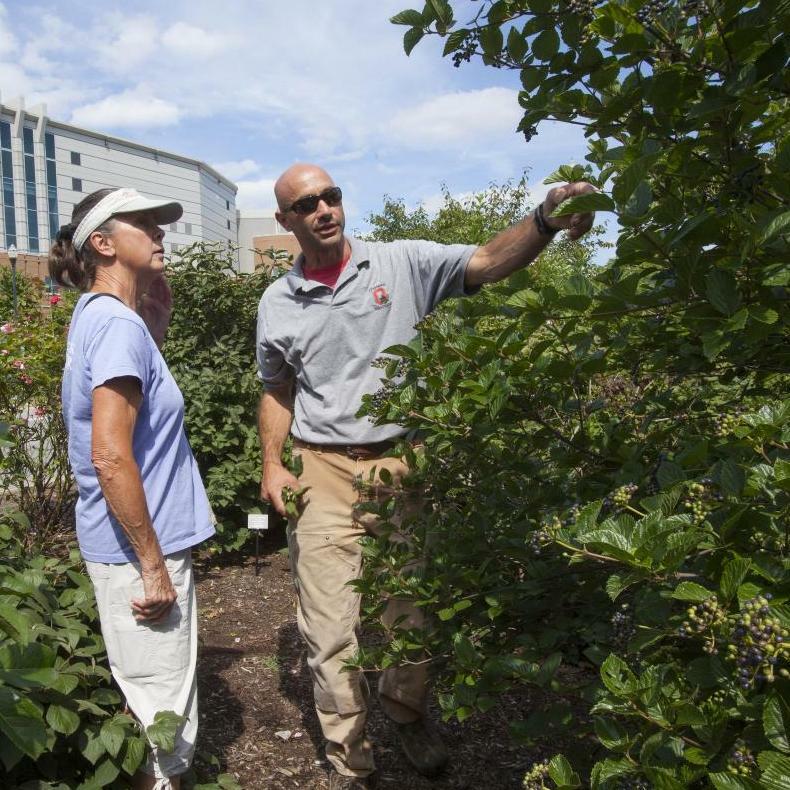 It isn't necessary to have a horticultural background to volunteer at Chadwick Arboretum. One of the strengths of our volunteer core is the diversity of backgrounds and interests our members bring to the experience. We even have a variety of opportunities that don't directly involve the gardens. Our Volunteer opportunities range from garden maintenance, tree surveys, and assisting with educational programs to event hospitality, photography, and social media management. For many of our events, such as our Spring Plant Sale & Auction, we ask for a commitment of as few as three hours, while other opportunities may be year-round, if you wish. Experience everything that Chadwick Arboretum & Learning gardens has to offer. The Franklin County Master Gardeners and Chadwick Arboretum & Learning Gardens have always enjoyed a close relationship. Begun in 1991 under the guidance of Mary Maloney, current director of the arboretum; Jane Martin and Marianne Riofrio, OSU Extension; and Jeanne Youger-Comaty of the Consumer Horticulture Center, the Master Gardener Program has produced scores of dedicated and enthusiastic horticultural experts. Upon graduation, the Master Gardeners are encouraged to volunteer in Chadwick arboretum's gardens and at special events, such as our Spring Plant Sale and Auction, as well as for specific Master Gardener supported projects. The knowledge, skills, and experience they share with the arboretum are an invaluable addition to the efforts of our volunteer corps. If you are interested in the Ohio Master Gardener program, visit the Ohio State Extension Website or the Master Gardener Website.